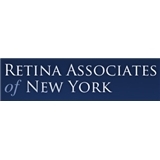 Retina Associates of New York (New York City) - Book Appointment Online! Retina Associates of New York, PC is a specialized eye care practice providing comprehensive treatment for disorders of the Retina and the Vitreous of the Eye. Established in 1986 at 140 East 80th St. in Manhattan by Dr. Ben Z. Cohen, the group is now comprised of four retinal specialists, including Dr. Kenneth J. Wald, Dr. Jeffrey C. Paccione and Dr. Alfred J. Nadel, all of whom have trained extensively in the field of Vitreo-Retinal eye diseases. The practice has grown over the years and added a medical office in Forest Hills, Queens and an office in New Rochelle. All three offices are outfitted with state-of-the-art ophthalmic equipment targeted for the diagnosis and treatment of retinal disorders. This allows us to offer our patients the most advanced treatment options available in the field of eye care today. In keeping with our quest for leading edge patient care, our doctors have been working with major pharmaceutical companies to serve as a clinical site for investigative therapies and the prevention/treatment of conditions such as Age-Related Macular Degeneration (AMD), Diabetic Macular Edema (DME) and Central Retinal Vein Occlusion (CRVO). For the past several years, Dr. Wald has partnered with pharmaceutical researchers conducting drug trials aimed at evaluating the efficacy and safety of potential treatments for disorders of the Retina. Our patients who choose to participate in the various studies have the potential to benefit greatly. As part of Retina Associates' continuous pursuit of quality patient care, Dr. Cohen opened The Retinal Ambulatory Surgery Center of New York in 2008. Located adjacent to the Manhattan office, the center features surgical equipment representing the latest in eye care technology. Our patients can now choose to have their surgery in our own state-of-the-art eye care facility that is conveniently located in a setting that is comfortable and familiar to them. Dr. Nadel was great. Professional, personable and thorough. Highly recommend!